With Aston Villa having reached the 40 point mark in the Premier League at Norwich, thoughts naturally turn to the summer transfer window and building on the current promise shown by Villa’s young chargers. Paul Lambert’s former side as a player, Borussia Dortmund will contest the Champions league final at Wembley this month and comparisons will inevitably be drawn by Villa fans between the philosophy of Jurgen Klopp and Paul Lambert’s ethos. Klopp, credits his philosophy to a model developed previously by Johan Cruyff at Barcelona. Cruyff sought to establish a core of six or seven academy players supplemented by four or five ‘stars’ to add quality. Lambert’s project on a much smaller scale, on top of academy promotion, has quickly evolved its first star in Christian Benteke. Benteke currently has more goals than any player in the top 5 European leagues in the year 2013 aside from Messi and Ronaldo. Some feat for a relatively unknown £6m striker from Gent in his first season in England. The 2012 / 2013 Paul Lambert squad is certainly a work-in-progress and has undergone drastic change. No player who started against Norwich at Carrow Road last week was in the first 11 in Villa’s last game of the season, at the same stadium last season. Lambert bemoaned the amount of ‘bodies’ needed to fill out a fairly thin squad inherited from Alex McLeish last summer. However, the imbalance of the squad can be traced back more fairly to Martin O’Neill. The remaining players from Martin O’Neill’s ‘five year project’ (to achieve Champions League status) will leave this summer, Petrov (May) and Dunne (August). These two players alone will free 100k a week from the wage bill. Subsequent signings Darren Bent, Shay Given and Stephen Ireland, will swiftly follow too, freeing up yet another £150,000 odd. Randy Lerner has sensibly sought to reduce the wage bill to make sure the club is self-sufficient and compliant with financial fair play rules, after the wreckless buying gamble on Champions League qualification failed. Roman Abramovich memorably decided to buy Chelsea having fallen in love with the glitz and glamour of the Champions league, it certainly seemed that was Lerner’s initial attraction too, although he did reveal in a rare interviews that his real pleasure derives from seeing players like Gary Gardner learning at Bodymoor Heath and coming through the academy system. In this regard, Lambert and Lerner seem more natural bedfellows than Lerner and O’Neill, or Lerner and McLeish. The second wave of Lambert signings should see more rising stars join the club, rather than merely filling the squad with much needed bodies. Lambert’s second summer transfer window will provide more quality and balance following a twelve-month assessment of the players abilities by the manager. I expect the 2013 / 2014 squad therefore to have more identity and to play in a style which complements more of the players in the squad. Players who are less suited to the system can be phased out such as Bent, Dunne, Ireland and N’Zogbia. In addition, the young players who have gained valuable experience this season with Lambert, will be a year older, after a steep learning curve. The 2013 / 2014 season potentially promises the true start of the often mooted ‘bright future’. The Villa goal keeper position seems well stocked. Brad Guzan has vastly exceeded expectations this season. Many thought that Lambert’s suggestion that Guzan and Given were vying for the no 1 spot was perhaps Lambert seeking to keep ‘baby’ Brad motivated. 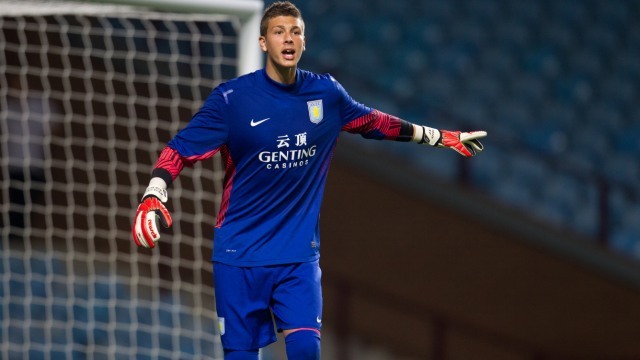 However, Lambert stuck to his word and gave Guzan his chance which he took with both gloves. Guzan is considered by many to be the Aston Villa player of the season. It is assumed that Shay Given will leave to seek regular football in the summer, and if that is the case, Benjamin Siegrist is a very good goalkeeper in the ranks ready to step up to the next level. 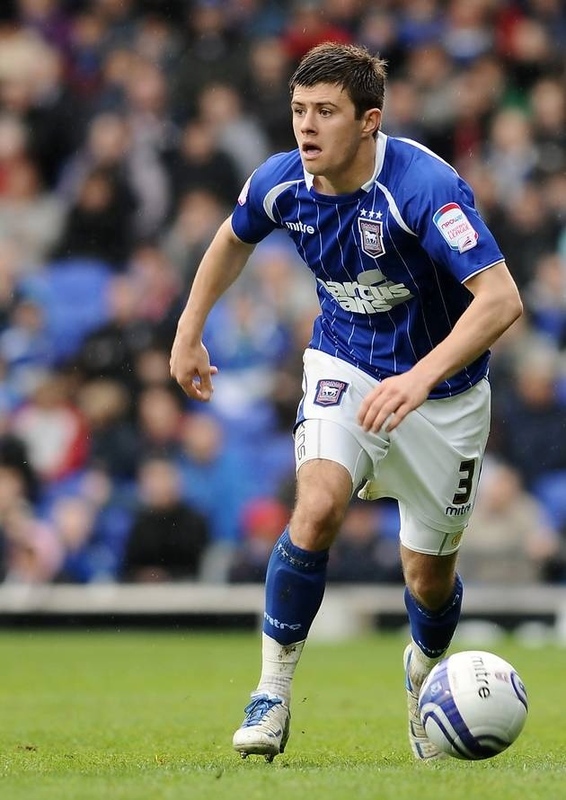 Is Lambert still interested in Aaron Cresswell, the young Ipswich left-back? Arguably the buy of the season is Matt Lowton. The young right-back had played every game in the Barclays Premier League until picking up an injury at Carrow Road with two games to go to the season’s close. He has also contributed impressively with goals (including goal of the season) and assists during the season, and is now an established first team player. Joe Bennett in the left back position though, has been more inconsistent. Homesickness and nervous performances at the beginning of the season have been improved upon, with improved performances against Sunderland and Chelsea. It was muted that Lambert was looking for another left back in January following Bennett’s poor form, but Joe’s recent improvement may have changed Lambert’s priorities. Enda Stephens, Eric Lichaj and midfielder Chris Herd have flirted with the first team and have played intermittently as full-backs in the past two seasons. Lambert will need to make tough decisions regarding these three in the summer, in who will either be renewed or replaced. Aaron Creswell, the Ipswich left back who previously caught Lambert’s eye, has enjoyed a good campaign with Ipswich particularly regarding assists and goals. If Lambert decides to release Lichaj, Stephens and Herd, Cresswell may well be a good value for money addition to the squad. Ron Vlaar was bought in the summer to be the leader of the defence and the Villa Captain to replace the loss of Stan Petrov. Vlaar has shown bravery and leadership qualities in vital games, but has not shown the quality of previous Villa centre backs such as Laursen, McGrath or Southgate. 21-year-old Nathan Baker, however, has played a very impressive second half of the season at centre back. Baker is literally wearing the scars to prove the extent of his bravery, and is living up to his label as the ‘future John Terry’. His reading of the game needs improvement, but that will come with experience. Baker has moved ahead of Villa’s captain earlier in the season Ciaran Clark, whose errors for club and country, coupled with an injury, have seen him on the sidelines in recent weeks. Clark in the immediate future will perhaps be Villa’s utility man, ala Gareth Barry in the early days of his career, until he fully stakes his claim with more consistent performances. Following Dunne’s proposed exit in August 2013, it is vital that Lambert buys another centre back this summer. It is known that Lambert has admired ex-Manchester United youngster James Chester for example, although it’s unlikely Chester’s current club Hull City would let him go having been promoted. Part 2 of Shelley’s analysis covering the Villa midfield and forwards. Feel free to add you thoughts on possible additions in the comments section below. Goalkeeping dept looks sound. I question whether Siegrist is ready to be a no.2 in the PL and might need a season out on loan to get some competitive games at senior level under his belt? Can’t understand why you would suggest getting rid of Lichaj who is a great back up right back to Lowton and never appears to moan. Don’t see many clubs outside of the big boys with as good a back up option in this position. He can also cover LB if he is on the bench. I also think Herd is a very useful squad player – capable of filling in as DCM, CB or RB. I would be disappointed if he were to be moved on at this stage unless Lambert has a lot of money to spend on filling the squad. I think we need a new first choice LB. Looked at the Championship Select XI – Warnock at LB!! Cresswell seems to have a good reputation but is maybe too young and would come with no assurances, as Bennett did, and could also potentially ruin Bennett’s confidence/block his eventual development. Maybe a 28/29 y/o experienced LB with Bennett as back up to give some more experience and allow Bennett to target replacing him in a couple of years? I would sell Stevens, if we are to bring in another LB, and release Dunne as a season out will surely not have helped the fitness of a 33 year old who was never the fastest/fittest? Aso need to find a way to get rid of Hutton permanently. This would leave us a CB down. Dragovic would appear to be the most exciting link to date BUT bringing in another 21 year old doesn’t add experience and just puts another potential blocker in the way of Baker and Clark. The last thing I would want to see is another Cahill scenario where we lose one of our best young players because they can’t get any games? Curtis Davies, whilst maybe not as exciting a link, at 28 has matured and potentially may not expect to play every game? Difficult one to manage. Other options could include Clint Hill or Paul Scharner from the relegated sides. As for the front six, I agree with everything Rookie mistakes has said. I would look to move on Bannan, Holman, Ireland, KEA and possibly the Zog if we can bring in the right replacements. As for the front players I would move on Bent and the Fonz. I would also probably send Albrighton out on loan to give him game time and see if he can recapture his form. I would look to bring in possibly Murphy, Loic Remy and possiby Sako and Scott Sinclair if we want to be able to switch to using wingers. As Rookie Mistakes says, I would also promote Carruthers and Johnson to the first team squad or look to get them out to the championship to get game time. Although, if last summer is anything to go by, then Lambert will go and buy some overseas players that none of us have ever heard of (I understand we are in Holland and Belgium a lot at the minute) that will light up the EPL? I think this would leave us with some real options but maybe a little light of experience in CM. An experienced no. 10 would be a great addition but a good experienced no. 10 would not be cheap. TO be honest, I would keep Dunne for another year, provided he orives his fitness over the summer. How much was he missed when Vlaar was injured? He would have brought some hughely needed experience to the team. I would keep him on lower wages for another season, to help the younger players and provide backup to Vlaar & Clarke/Baker. Spot on in my opinion on the rest of the post though. For tomorrows post, I think there is going to be a larger clearout of midfielders this summer. I think the likes of Bannon & Ireland, maybe even El Ahmadi etc have played their last games for us. Has MNakoun been officially sold yet? If not then get rid of him too. He obviously doesnt have the interest to play if he wont even learn the language to get a work permit. Delph seemed to be another one on the way out but recent performances have changed that idea. I have always thought that Delph was one that could come really good for us. I’m glad that he is starting to show his talent for us, rather than get released by us and then play brilliantly for a rival. With regards to players coming through, I would like to see the likes of Curruthers and Johnson get some first team action next year. I think the writing is on the wall for Bent. I highly rate him but I cannot see him staying to sit on the bench for another year. Delfouneso has to go too im afraid. He has gone the way of the moore brothers I think. He broke through a number of years ago and a succession of managers have since farmed him out on loan. As talented as I think he is I think that there is obviously something they see that I dont. With Benteke, Gabby, Weimann & Bowrey there, with the likes of Drennan and Burke coming through the youth system, my feeling is that we have also seen him play his last game for us. Can’t argue with any of this. I hope we go for an experienced CB who can also play LB. The defence needs sorting out but we need to keep giving Baker playing time. A cultured, forward minded midfielder would help too. Russell Bognall Hopefully, we’ll get that up for you tomorrow, so you can read it, rather than worry about the Arsenal vs Wigan match! As soon as Arsenal do their bit we can all get excited about the summer transfer window, a lot can be done with those wages we’ll be clearing.